Print designers have limitless imagination, and nowadays printing technologies can produce all ideas in reality. But will the final printed product always meet fulfillment and price requirements? Sometimes it turns out that creating a beautiful image on a computer monitor is often much easier than producing the real printed product. 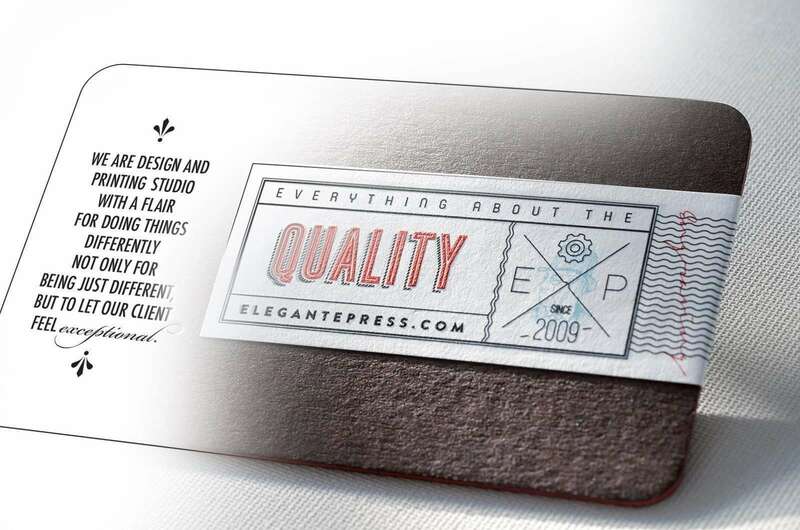 Therefore, it is very important that while designing a business cards, invitations, postcards, packaging or posters the designer from the very beginning would think how this work will be produced, that final product will look exactly the same like designer imagines – what paper will be used, what kind of printing techniques will be chosen, do printing and finishing techniques will not conflict with each other, etc. In this article we will advise what printing methods to choose that your final print work would look really good, especially printing a small print run. 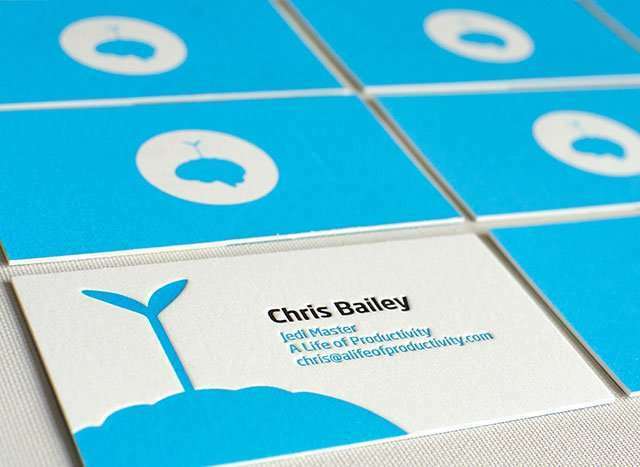 If your logo is designed with a few colors that have tones, shadows, or you want to print a photo on your business card, then you have to use digital printing method. 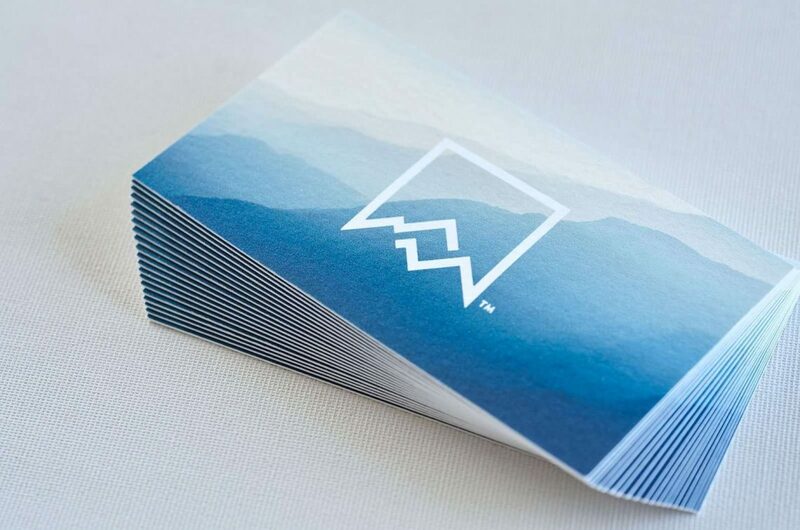 For large print run you should plan offset printing, but if you want to print a small bunch of business cards then offset will be too expensive. Digital printing method can be based on laser or inkjet technology. Both technologies can achieve good results. Digital printing is quick and inexpensive method, but if compared to analog printing techniques, it is not so exceptional and has some technical disadvantages. (Please check table at the end of the topic). It is quite complicated to print qualitatively a big flooded area. Letterpress is definitely not the best technology for that. The paper tends to show throw large solids, creating a slightly textured look that’s almost suede-like. Some people like it, but we do not use this technique for big flooded areas printing. Even offset and digital printing not always evenly cover paper large solid with ink. The best printing technique for this job is silkscreen printing, it is just perfect printing method for flood printing. This topic is probably the biggest challenge for many designers and printers while coordinating this type of print works. The most unfortunate combination is black paper and white debossed objects. Yes, it is possible to print with digital or silkscreen printing method, flooding white paper with black ink, but this way printed cards will be totally flat, also the edge of such black cards will be white, and will look quite bizarre. 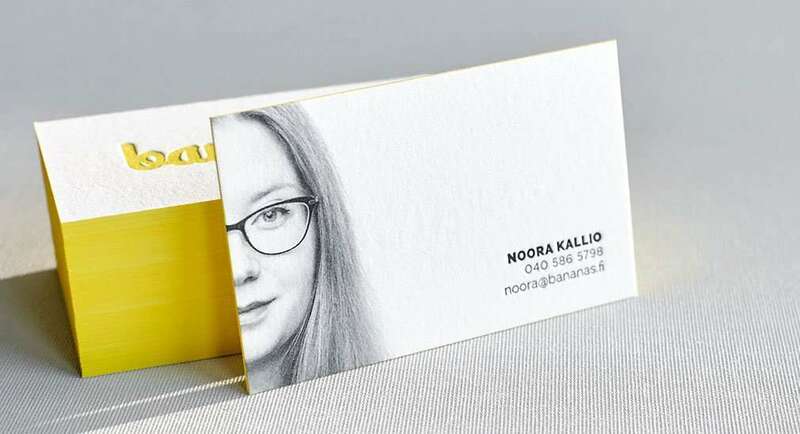 If you want a bright object to print on dark paper, and you plan to do that in a qualitative way, we always recommend to choose color paper – then business cards edges after cutting will be the same color as the cards faces, and also you will not need to worry about surface ink density. So there are few ways how to print bright color objects on dark stock. Letterpress ink is transparent, that is why on dark color paper it is possible to print only with metallic ink, for example, gold, silver, and copper. Please note, that metallic ink printed on matte paper looks totally mate, not shiny. With foiling printing technology possible to print bright color objects on dark stock. Foiling is nice printing method that can be debossed or embossed, but this printing method is not perfectly clean, so if you want to print very tiny objects this printing method is not recommended. Also, there is a limited range of foil colors. Your design will look great printed with any printing technique if it will be done professionally. If you want your print work to look more exclusively you can combine few printing techniques, making qualitative implementation of seemingly incompatible things. At the end of this article, we represent a summarized information table that will easily help you to orientate in this quite confusing printing world full of capabilities and limitations. If you have questions please feel free to contact us, we will be happy to explain what type of printing is most suitable for your project. 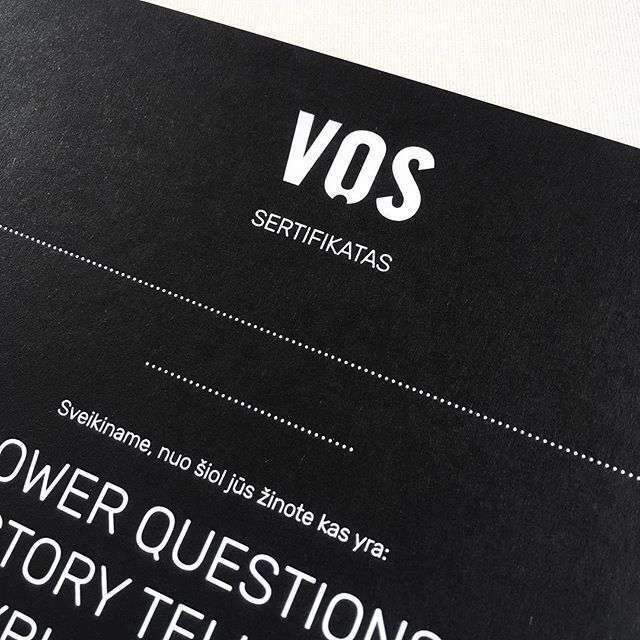 Also, you can order our sample pack if you want to feel and touch how different printing methods looks printed on paper.